Many talented actors have identified themselves as being a highly sensitive person, or at least talked about their sensitivity or shyness. Being shy is not the same as the personality traits of high sensitivity or introversion (which are also different from each other) but many of us are both shy and sensitive, possibly also introverted. Journalists may refer to some actors, musicians and other artists as “shy” and artists may identify themselves that way, although really referring to high sensitivity or introversion. “I’ve kind of been preparing for that my whole life,” Mara said of her role in “Carol,” which earned her the best actress award at the Cannes Film Festival in May. 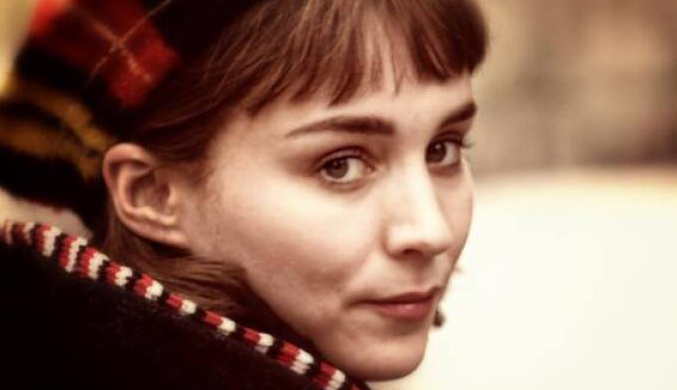 From post: Telluride: Rooney Mara explains her ‘moody’ road to ‘Carol’ at tribute by Rebecca Keegan, Los Angeles Times Sep 5 2015. 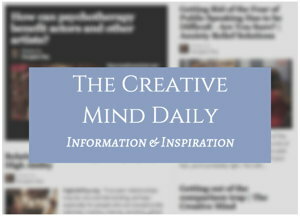 Being “moody” as Mara calls herself, fits in with a list of qualities of creative people described by creativity researcher Mihaly Csikszentmihalyi – see my post The Complex Personality of Creative People. 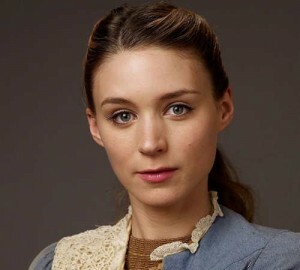 From Rooney Mara: The Changeling by Hamish Bowles, Vogue, January 14, 2013. It’s “a nightmare! It’s a panic attack waiting to happen. “I don’t even like people to sing ‘Happy Birthday’ to me. When we wrap a film and everyone claps and cheers, I turn red. “And then I have to walk out onto the middle of this carpet and there are all these photographers, and they’re all screaming at you. From Rooney Mara Covers February Vogue, Calls the Red Carpet ‘a Panic Attack Waiting to Happen’ By Dhani Mau, Fashionista Jan 14, 2013. “The thing that I found most interesting was that she could be as off-putting as she is, but at the same time she’s also quite innocent and childlike. Much has been written in reviews about her ‘goth’ appearance in the movie, but Mara thinks “She’s not a badass, she’s not a punk. I hate it when people call her a punk or goth, because to me that’s just the antithesis of what she is. 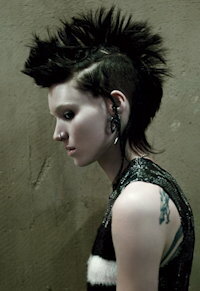 From post: Rooney Mara on the Extra Intelligent and Intense Lisbeth Salander. Introversion, Sensitivity, Shyness – Are They The Same? A personality trait that may often accompany high sensitivity (experienced by many, or most, creative people) is high intensity. You can see some forms of intensity in many actors and musicians. Performers With Stage Fright and Anxiety – Lady Gaga, Felicity Huffman, Alanis Morissette, Jennifer Lawrence, Carrie Underwood, Colin Firth, Hugh Grant, Cecilia Bartoli and other artists. How to Deal With Anxiety videos – the Anxiety Solutions channel.